[S242 ] U.S. World War I Draft Registration Cards, 1917-1918, (National Archives and Records Administration), Database online. Registration Location: Banks County, Georgia; Roll: ; Draft Board: . [S250] 1930 United States Federal Census, Database online. Year: 1930; Census Place: Berlin, Banks, Georgia; Roll: 337; Page: 3A; Enumeration District: 14; Image: 235.0; FHL microfilm: 2340072. [S328] Georgia Deaths Index 1919-1998, Database online. Certificate number: 22037. 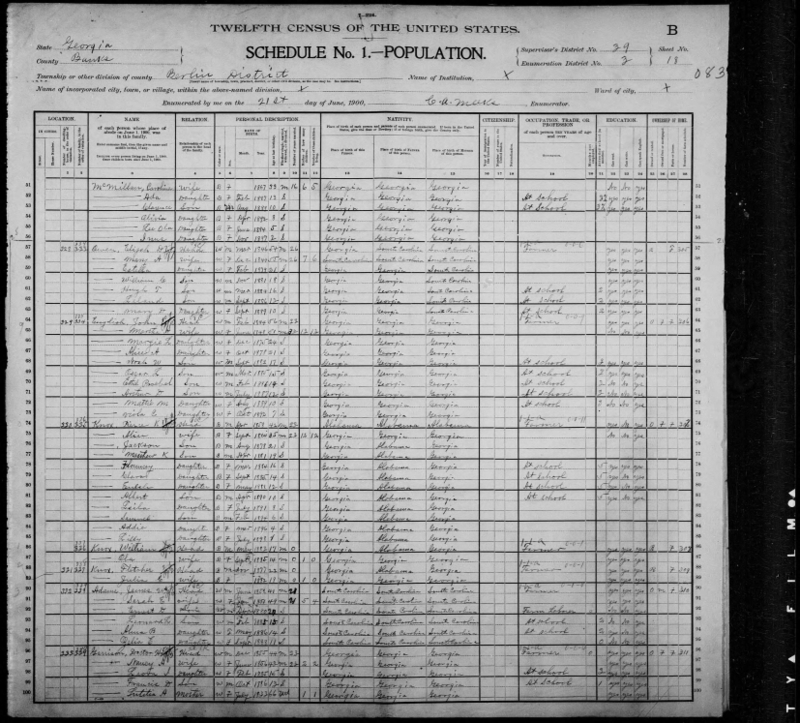 [S265] 1920 United States Federal Census, Database online. Year: 1920; Census Place: Berlin, Banks, Georgia; Roll: T625_234; Page: 14B; Enumeration District: 8; Image: 238.